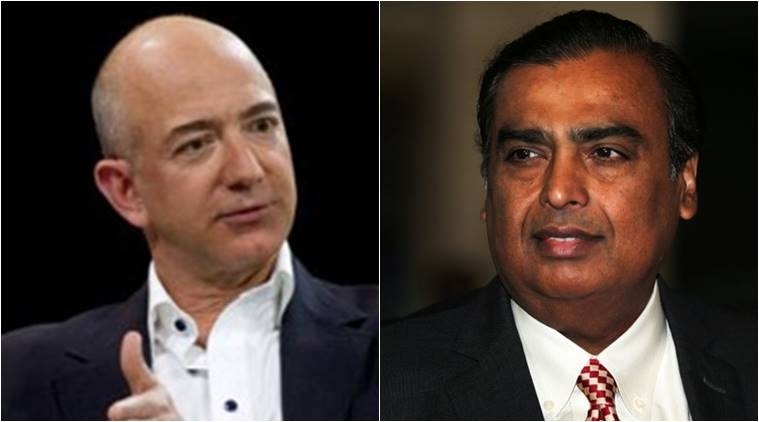 According to Forbes Billionaire list 2019 Reliance Industries chairman Mukesh Ambani 13th richest person in the world with a net worth of USD 50 billion (over Rs 3.5 lakh crore), while Amazon founder Jeff Bezos again topped the list as the world’s wealthiest person with a net worth of USD 131 billion. Microsoft co-founder Bill Gates (2nd position) has seen his wealth soar to USD 96.5 billion, up from 90 billion last years, Forbes said. Ace investor Warren Buffett (3rd position) saw his fortunes dropped by USD 1.5 billion to USD 82.5 billion, the magazine mentioned. Facebook founder Mark Zuckerberg fell three positions to grab 8th spot with a net worth of 62.3 billion and former New York mayor Michael Bloomberg jumped by two. Meanwhile, Anil Ambani, the younger sibling of Mukesh Ambani was ranked 1349 on the list with a net worth of USD 1.8 billion. Among the top-100 billionaires in the world, Wipro chairman Azim Premji is the second richest Indian and was ranked 36th on the list with a net worth of USD 22.6 billion, followed by technology giant HCL co-founder Shiv Nadar (82nd position, net worth of USD 14.4 billion), ArcelorMittal chairman Lakshmi Mittal (91st, USD 14.1 billion). Worth mentioning here is that the list of Forbes Indian billionaires includes Aditya Birla Group chairman Kumar Birla (122), Adani Group chairman Gautam Adani (167), Bharti Airtel boss Sunil Mittal (244), co-founder of FMCG giant Patanjali Ayurveda Acharya Balkrishna (365).